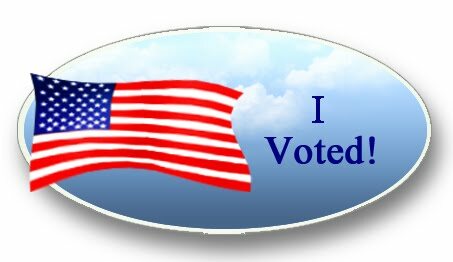 My husband and I are always complaining that WE aren’t ever involved in any of the polling that we hear about on the news. Pollster: Will you be voting for President Obama this election? My Husband: There’s no way in hell. Pollster: So I can put you down for Obama then? My Husband: I said no way. As a matter of fact, I would vote for a sock full of popcorn before I voted for Obama. 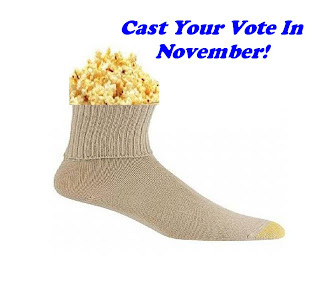 Pollster: I don’t think you can vote for a sock full of popcorn. My Husband: I’ll write it in. I have no idea what the pollster actually marked considering he didn’t take the first NO my husband told him, which makes me totally suspect of the polls the media spews. I believe I’ll ignore the polls and wait until the night of the election to see who the winner will be and if it’s a sock full of popcorn, we’ll know my husband was the deciding vote.